I have a really exciting announcement today! Way back in October, Greatist reached out to me about contributing to a new healthy e-cookbook they were creating. I’m a huge fan of Greatist so of course I said yes and pitched them a bunch of recipe ideas to get the ball rolling. After a little back and forth we settled on six of my recipes to include. The designers worked their magic putting everything together and cookbook is now available for purchase! The e-book is a compilation of 100 healthy recipes from food bloggers and nutrition experts. Each recipe includes no more than eight ingredients, calls for only basic kitchen equipment and takes no more than 20 minutes of prep work. 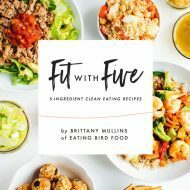 Basically, is packed with recipes catered to different dietary preferences (gluten-free, clean eating, paleo, nut-free, vegan, etc.) that make cooking healthy meals at home a breeze! I snagged a copy last week and LOVE it so much. I’ve already flagged at least a dozen recipes to try: Gluten-Free Paleo Banana Bread (gimme! 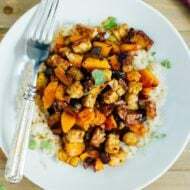 ), Mexican Sweet Potatoes, Butternut Squash Veggie Bake (yes, please), Easy Sesame Salmon, Dark Chocolate & Almond Protein Cookies (healthy Christmas cookies, anyone?) and more. 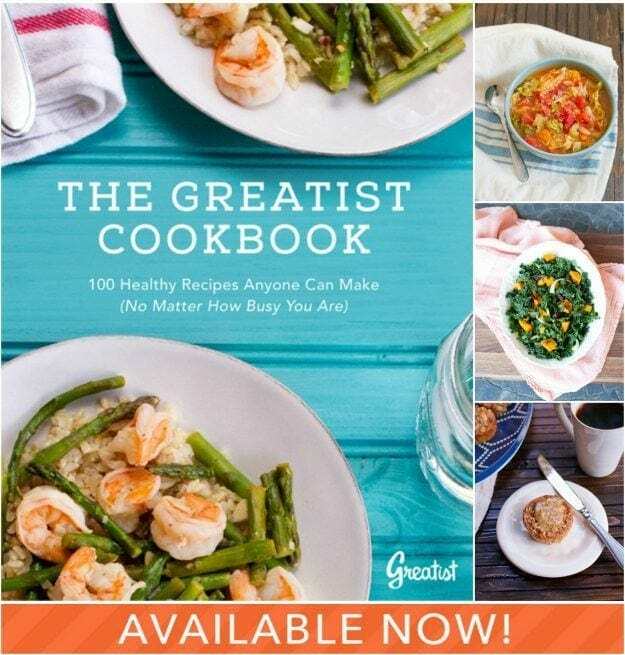 All six of the recipes I contributed are delicious, but a few of my personal favorites include the Spicy Lemon-Garlic Shrimp & Asparagus (yes, that’s my photo on the cover of the book! 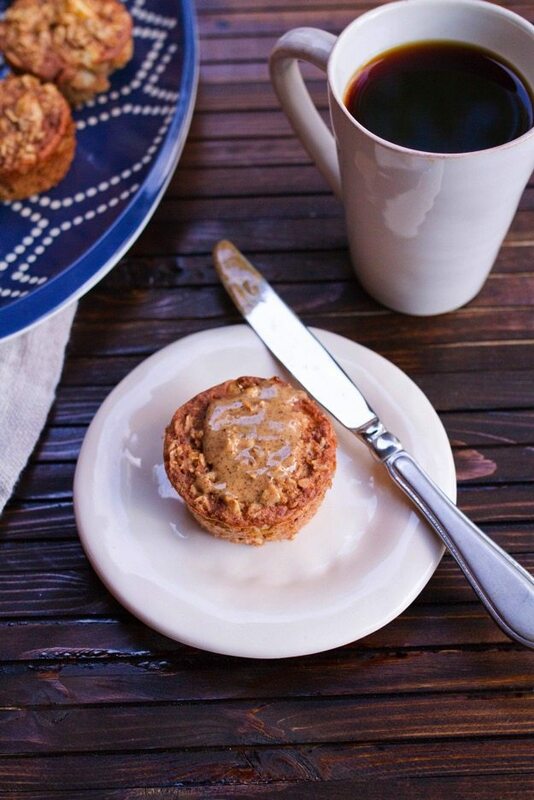 ), Baked Apple Oatmeal Cups and the Harvest Kale Salad. Yum, I’m getting hungry just thinking about these recipes. Many of you have asked me when I’m going to release a cookbook and I’ve been toying with the idea for a couple years, but I haven’t taken the plunge to pursue it. This opportunity seemed like the perfect stepping stone — I got a small sneak peek into what writing a cookbook entails. Obviously I realize that coming up with six recipes is MUCH different than coming up with the content for a full cookbook, but I still feel like this experience gave me a chance to get my feet wet. 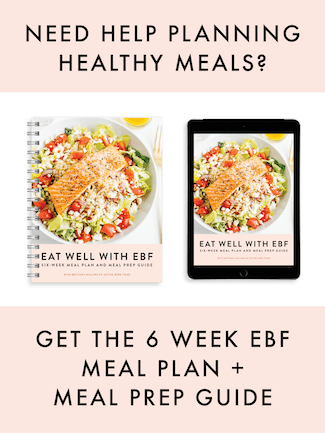 And who knows maybe there will be a EBF cookbook in the future. Head over to the Greatist site to learn more. This looks awesome! 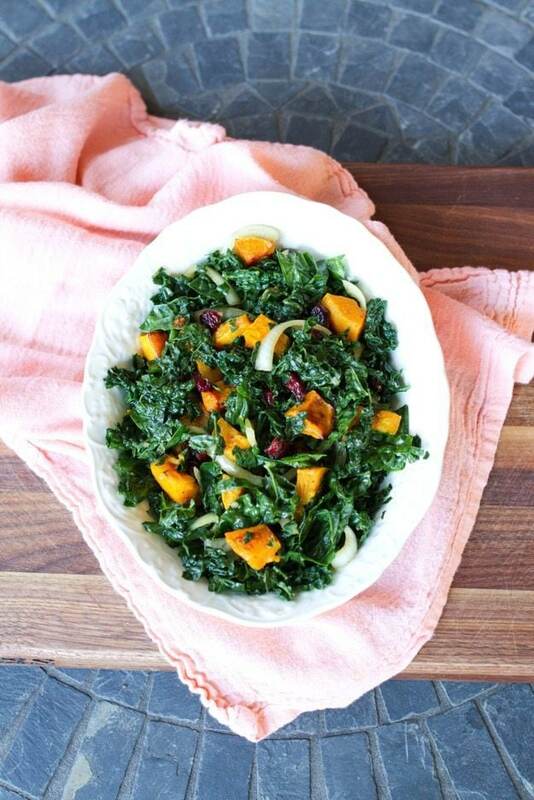 I love the idea of simple ingredients, and I always find inspiration over at Greatist. Congrats! Congrats! Easy recipes are the best. How exciting for you. Happy Tuesday! Well deserved! Congrats – so exciting! The cover looks beautiful. Brittany, congratulations on your contributions to the e-book as well as snagging the cover. That is awesome. You should be so proud. The cover looks great and those recipes?? I can’t wait to get my hands on the book and make some. I love using Greatist as a resource for tips and information, congratulations on having your recipes featured! !